How was the quality of your sprinkler system before you turned it off for the cold weather? Depending on the age of your sprinkler, it may be running in rough shape. Winter is a great time to begin considering Denver sprinkler repair. It will help you get ready so when it comes time to turn it on in the spring, it will be in premier shape. Over time, your sprinkler system will age. Or, something may happen to cause it to break. One of the biggest signs are leaks. The sprinkler may leak from a variety of areas, such as the valve or sprinkler head. It might be broken solenoid or sprinkler head. If you remember a leak, keep that in mind and talk to a local water solution specialist to fix. Another issue is low water flow. This will impact how much water is getting to your lawn. This will offset the work you are trying to do with the sprinkler system and could negatively impact your yard. Next, what about noises? If you have noticed your sprinkler made odd noises like hissing, there could be a problem. You may not realize that your sprinkler system has issues, however, you may notice issues in your lawn that result from issues. The main thing you can check for is the quality of each area of your lawn. If certain areas aren’t getting enough water, you’ll notice they might have been off color and somewhat brown. On the flipside, you may have noticed certain areas having been soggy. Overwatering can be just as dangerous and cause a negative impact. If you are unsure how your sprinkler was before you turned it off at the end of last season, there are a few things you can check when spring arrives. First, observe the sprinkler when running to see how the flow of water is. You can also listen to see if there are any strange noises. Next, watch and see if the water is flowing evenly and if the pressure is correct. You can also see if any areas are sending out more or less water than it should. 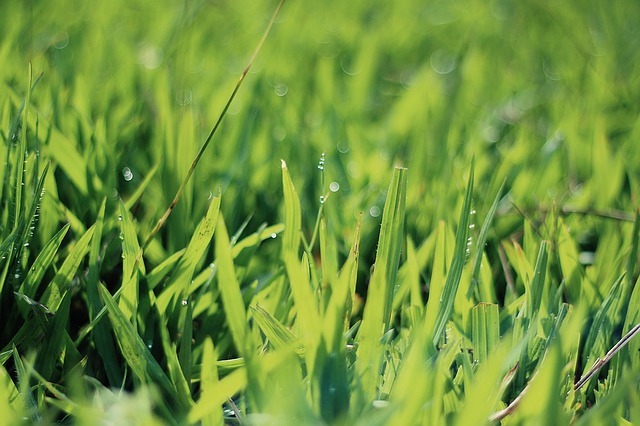 If unsure, you can always feel the grass in certain areas too once the sprinkler has shut off. Feeling around will help you reach a conclusion. Last, double check for any breaks or wear and tear of the system. In About Home’s Start Sprinkler System After Winterizing, they explain it is best to turn on your system very slowly and to give it time to pressurize before turning on valves to their max. They also add to remove sprinkler heads at the end of each line before turning on valves to flush anything out. Since spring is still a few months away, be sure to check on these maintenance tips for Denver sprinklers this winter. For all your sprinkler needs, Water Solutions Sprinkler Service is your top water solution expert. We are a Denver go-to in the industry to make sure your system is working properly and can fix any issues. Contact us at 720-435-1495 to get started.